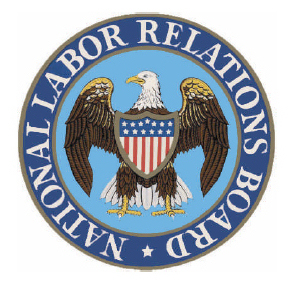 Tomorrow, the National Labor Relations Board (NLRB), an independent federal agency vested with the power to enforce the National Labor Relations Act and "to prevent and remedy unfair labor practices committed by private sector employers and unions," is scheduled to vote on rule amendments that would streamline the union certification process. Rulemaking is a routine bureaucratic practice, but now the sole Republican on the board's three-member panel is threatening to block the vote and bring the entire agency to its knees for political reasons. [T]he GOP attacks on the NLRB, and Hayes' resignation threat have everything to do with politics and little or nothing to do with law (and even less to do with fairness). The move would be devastating, given that House Republicans have already indicated they will block President Obama from filling any vacancies on the board. As Logan put it, the agency would be "reduced to a shell." This is hardly the first assault on the NLRB from anti-labor Republicans. The 76-year old agency has inexplicably become a favorite target of the House GOP this year. House Oversight Committee Chairman Darrell Issa (R-CA) has been accused of trying to "sabotage" an NLRB investigation into Boeing's alleged retaliation against unionized workers in Washington state. Issa hyperbolically asserted that an NLRB victory in the case would mean the "forced unionization of America." Among others, Rep. Trey Gowdy (R-SC) has called for the NLRB to be dismantled, and Rep. Eric Cantor (R-VA) has led the charge with misinformation about the NLRB's mission and litigation. If Hayes resigns, it will be a big win for the Republican scorched-earth obstruction approach to governing, and begs the question — what's next, and at what cost?